Lift up your festive spirit this Diwali!  Gear up to join Gorummy “Diwali Gala Tourney” on 29th Oct, 2016 @ 3PM.Celebrate this festival in a perfect way by playing online rummy with your friends and family. Brighten up your bankroll with Rs. 50,000. Entry is Free. Come and make this ‘Festival of lights’ brighter with your rummy skills. First prize winner grabs Rs. 9000. Don’t miss it! Hurry up! Verify mobile and take Diwali winnings to your home.Be the first prize winner to grab Rs. 9000.The gala tourney participants will compete for a cash prize of Rs.50, 000 and the winning amount is dispersed among the winners of the tournament. Select ‘Diwali Gala Tournament’ and click on ‘Register’ button. Every player needs to verify their mobile number to take part in this tournament. Withdrawal terms apply on all the winnings upon the Diwali Gala Tourney.